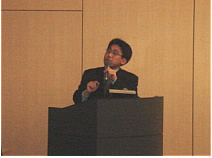 Keisuke Hashimoto speaks on conferencing market particularly focused on Japan, at conferencing related seminars in Japan. And he can speak either by visiting your seminar physically or via videoconferencing or webconferencing or audioconferencing to your remote seminars in your country based on the your requests. His office has 1x BRI and 100Mbps FTTH Internet connection. 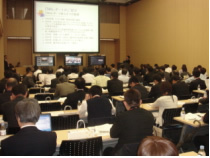 If you would like him to speak on subjects relevant to Japan's conferencing market for your events, please go to the page " Contact Us" for further information and let us know your plan.